VIRGIN has secured a new contract to operate intercity services on the West Coast Main Line. The company said there had been 'tough negotations' before a deal was struck covering two years and nine months, which also commits the company to investing £35 million. 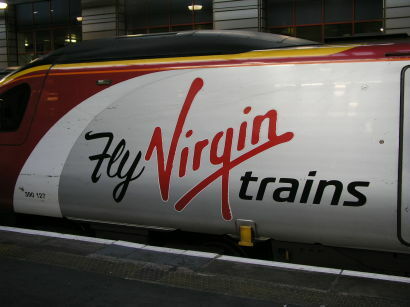 Some of the improvements agreed by Virgin Trains, 49 per cent of which is owned by Stagecoach, include the conversion of 21 first class vehicles to standard class, free wifi at stations, £20 million for station upgrades, £2.5 million to improve the interiors of Pendolinos and £2.75 million on improving catering facilities. Virgin will also now start work to introduce new direct services between Shrewsbury, Blackpool and London from December. There will be new apprenticeships and other job opportunities as well as infrastructure improvements. Transport secretary Patrick McLoughlin said: “This deal will provide thousands more seats and better journeys for the tens of thousands of passengers who use these services every day. The West Coast provides a vital artery between London and Scotland and it is crucial we do everything we can to improve services on this much-used route. Virgin Trains executive co-chairman Patrick McCall said: “We’re delighted to have reached a deal after some tough negotiations with the DfT. It puts the problems of 2012 firmly behind us, and shows the clear benefits of a well-run franchise system. Virgin has agreed to employ at least 30 apprentices, 18 trainees, four Network Rail Track and Train graduate placements, 12 Virgin Red Track scheme participants and 12 ex-offenders through the St Giles Trust. The contract is the sixth direct award made by the Department, and it will be followed by a new long-term franchise starting in April 2017.